Rain or Shine built another big lead and San Miguel Beer made another big rally, but this time the Painters played well enough to hold the Beermen back in Game 2 of their 2015-2016 PBA Philippine Cup semifinals series. The win enabled ROS to tie the series at one game apiece. 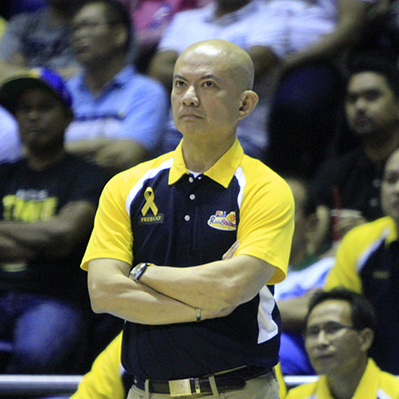 No pabebe waves tonight for Yeng Guiao. The Rain or Shine Elasto Painters had to endure another San Miguel comeback in Game 2 but came out on the right side this time as they won, 105-97, and tied their SMART BRO PBA Philippine Cup semifinal series at 1-1 on Thursday at the SMART-Araneta Coliseum. Jeff Chan, held scoreless in the series opener, fired off a team-high 16 points to pace the Elasto Painters. Reminiscent of Game 1 two days ago, Rain or Shine led by over 20 points but saw it sliced down in the fourth quarter. They got some big three-pointers from Chan, though, and made their free throws when it mattered as they escaped with the victory in this one. Five other Rain or Shine players reached double-figures in scoring. Rookie Don Trollano scored 13, big man JR Quinahan had 12 while the returning Paul Lee finished with 11. Gabe Norwood and Raymond Almazan each chipped in 10 markers. Back-to-back PBA MVP June Mar Fajardo led San Miguel with 38 points and 17 rebounds while Alex Cabagnot had 24. JR Quiñahan (ROS) - 12pts, 8rebs, 2asts, 1stl, 1blk. June Mar Fajardo (SMB) - 19pts, 17rebs, 1stl, 1blk, 13/22 FGs.